Poor and Gluten Free (with Oral Allergy Syndrome): New Cover for In the Court of Kemet! New Cover for In the Court of Kemet! 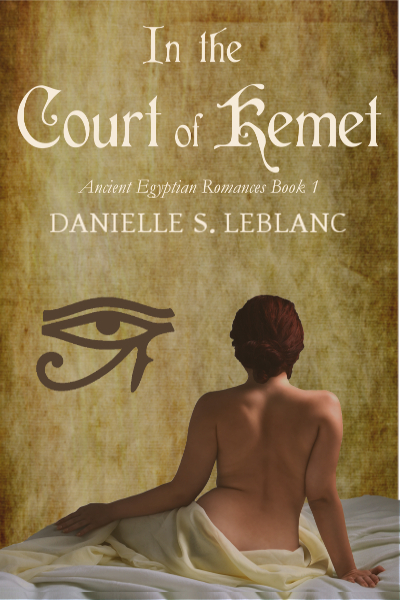 In case you haven't seen it yet, there's a new cover out for my Ancient Egyptian romance novel, In the Court of Kemet! I've only just uploaded it here on the blog, although it's been out for a couple of weeks now. I'm super excited about it, and feel like it's much more indicative of what's inside, while not being quite a bodice-ripper (which it isn't anyway!). I hope you check it out and let me know what you think! And stay tuned - Book #2 of the series, In the Temple of Mehyt, is in the process of being edited as we speak. The third novel, The Draughtsman's Daughter, is deep in the works right now. Both should be out before Christmas!